CHARLOTTE | It’s 1983, and a young 22-year-old restaurant worker is trying to find a publisher for his comic books. After a string of bad luck, he then moved to Northampton, Massachusetts. There, he met a fellow comic book artist and writer with the same goals and aspirations. With a $1,000 loan from an uncle, the two formed Mirage Studios in 1984 and decided to self-publish their own book. With an initial print of only 3,000, Eastman and Laird’s Teenage Mutant Ninja Turtles were born. Fast forward to 2014, three generations have been raised on these four mutant turtles– Leonardo, Raphael, Donatello and Michelangelo. These our names mean different things to different people. To people from the earlier generations, there were the TMNT movies, action figures, animated series, live action series, Pizza Hut specials and video games. On the last day of HeroesCon in Charlotte, NC, a childhood dream came true. The opportunity to meet Eastman became a reality. The line of people waiting to accomplish the same childhood feat was staggering, 2 to 4-hour wait. Not even this many people waited for Stan Lee at HeroesCon 2012. For months, the thought of what to get signed crossed my mind frequently. Then it hit me! 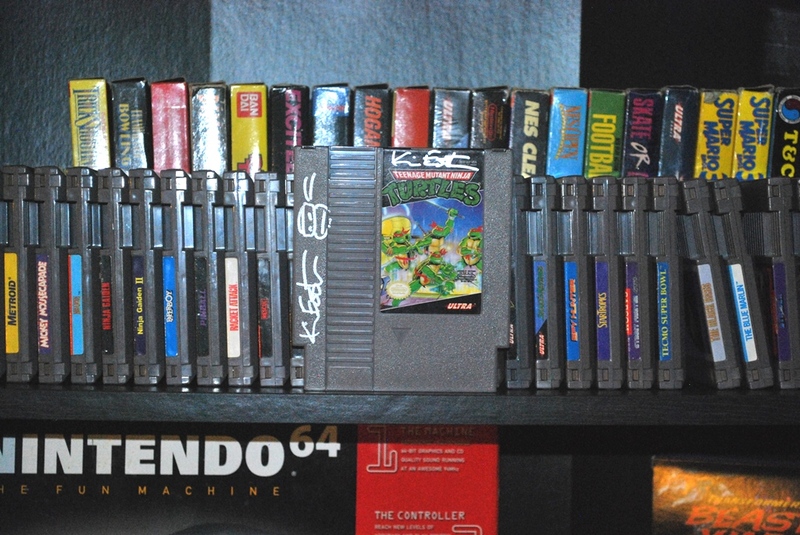 The NES cartridge of the very first TMNT game (with all four wearing red), which seemed very appropriate. 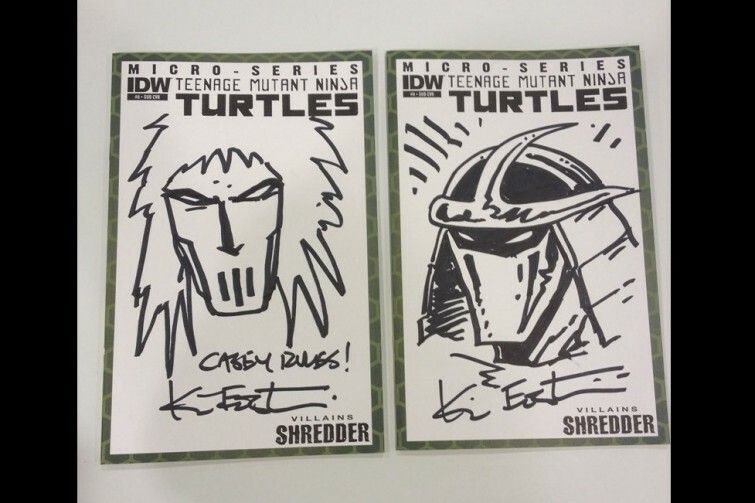 To make matters even more nerd-tingling, a person was walking by with blank variants for Kevin to sketch on for free of charge, which was already impressive since every other artist at the convention charged a minimum of $30-$50 for the same commission. The entire time in line, contemplation set in of what to get. Bebop, Shredder, Kevin Nash (Super Shredder) and then the decision was made. None other than… Casey Jones! Casey was always a childhood favorite. He was always the anti-hero. In a way, a lot of people relate to Casey. After speaking with Eastman for what seemed like forever (10 minutes in very slow motion), I walked away with a unique Casey Jones sketch and a signed copy of TMNT on NES. For more stories from Heroes Convention 2014, click right here. For more from John, click here.